Although there are always new technologies, braces are actually a very old way to straighten a smile. We are talking Ancient Greek and Roman old. Archaeological evidence has proven that being an orthodontist is actually a very old profession! 400-300 BC: We’ve gained a lot from the Ancient Romans and Greeks, including evidence of the first ever braces. In fact Aristotle and Hippocrates were some of the first to think of using a type of appliance to correct misaligned teeth. 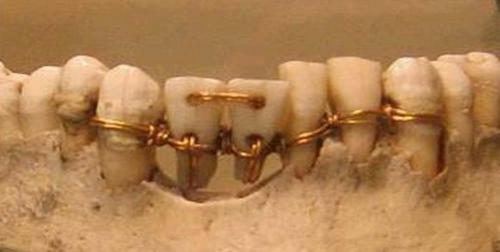 A body was even found in a Roman tomb that had its teeth bound with gold wire and documentation that the wire was intended to be used as a dental device. The 1700s: During this period the father of modern dentistry, Pierre Fauchard, was experiencing with such devices as the “blandeau.” The blandeau was the first apparatus known to widen the palate. In 1728 he even published a book about his methods. His research was followed in 1754 by a book authored by Louis Bourdet. He actually improved upon the original blandeau and was the first dentist to extract the bicuspids to remedy the overcrowding of teeth. The 1800s: This is the century when orthodontics began to emerge as its own specialty apart from general dentistry. Orthodontists began experimenting with different materials like gold, platinum, rubber, wood ivory and zinc to create various hooks, spurs, loops and ligatures. 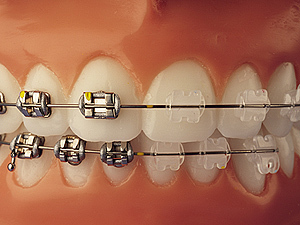 The first elastics were used on braces in 1843 and E.J. Tucker began manufacturing rubber bands intended for use in braces in 1850. It was also in this era that Norman W. Kingsley hypothesized that it was better to use force over timed intervals to move teeth. The 1900s: In 1901, Edward Angle founded the American Society of Orthodontia (Renamed the American Association of Orthodontists in the 1930s) and created the first classification system for malocclusions. Stainless steel overwhelmingly replaced gold as the metal of choice in the 1960s and lingual braces became the first “invisible” braces. Today: There’s never been a better time to have a smile out of alignment. Braces are not just smaller than they used to be; they are available in different materials and styles that can make them practically invisible. It is also possible to accelerate your treatment with technology like Propel. When it’s time to seek orthodontic care, call the office that has been making the South Coast smile since 1977. At Cronauer and Angelakis, we offer complimentary consultations to evaluate your smile and help you make an informed decision about the best treatment plan for you and your budget. Contact us to schedule an appointment today. Categories: Braces | Tags: ancient braces, orthodontic care | Permalink. Why Do I Need My Braces Adjusted? After your braces have been put on, you might be surprised to learn that you will need to return to our office every three to six weeks to have them adjusted or tightened. To understand why we do this, you first need to know how braces work. There are several different types of braces, but they all work based on the same principle. By applying force over time, your teeth are slowly pushed into their proper positions. As this movement occurs, your wires and bands are no longer as tight and will need to be replaced to continue the progress that is being made in your mouth. If you are wearing Invisalign clear aligners, the same goal is accomplished by replacing your current tray with the next size down. As it takes a minimum of three weeks to observe movement of your teeth, this is the most common interval to schedule visits. Adjustment appointments also give us the opportunity to measure your progress and modify your treatment plan if necessary. Your actual interval will vary based on the type of braces that you are wearing and your body’s response to them. At your appointment, you can expect to have your old wires and elastic ligatures removed and your teeth thoroughly brushed and floss. Next, you will select new colors for your bands and the new bands and wires will be applied. You may experience some tenderness after we are finished, but this won’t last very long. Wearing braces is a partnership between you and us. When you do your part by practicing good home care and making regular adjustment appointments, we can do our part to ensure that you are getting the best treatment possible. Missing your adjustment appointments will extend the duration of your treatment and could lead to other problems such as tooth decay and gum disease. It won’t take very long so schedule your appointment today. 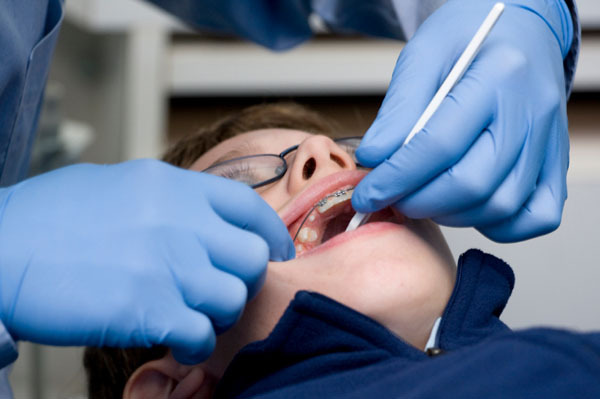 Categories: Braces | Tags: Braces, Braces Florida, florida orthodontist, Orthodontics, Orthodontist, types of braces, types of braces davie, types of braces pembroke pines | Permalink.